The early 1960s brought the advent of jet travel and an astronomic leap in island tourism. Hundreds of weekly visitor arrivals jumped to thousands and Waikiki became a high-rise village to accommodate the numbers. While tourism grew, agriculture shrank as a mainstay of the economy. Sugar and pineapple industries both suffered from overseas competition. Although plantation lifestyle was a tenacious part of island culture, it died a slow death through the 1970s and '80s. During the 1990s, the last large sugar plantations shut down forever and today only a few smaller operations remain. During this period of a changing economic landscape, a Hawaiian cultural renaissance blossomed. Spurred in part by the building of Hokule`a in 1976 - a performance-accurate Polynesian voyaging canoe built to test ancient methods of navigation - the cultural reawakening increased interest in Hawaiian language, hula, music, lua, kapa making and other traditional practices. 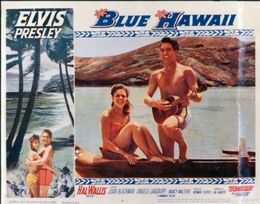 Heightened awareness and pride also took political form as Hawaiians sought greater autonomy, fought to preserve traditional gathering rights and shoreline access, and protested the bombing of Kaho`olawe by the U.S. military for training purposes. In the 1990s, Hawaiians could point to several significant political victories. In 1990, George Bush's presidential order stopped the bombing of Kaho`olawe and control of the island was turned over to a state commission. In 1993, President Clinton signed the Apology Bill, formally recognizing the injustice of the U.S.-aided overthrow of the Hawaiian monarchy. 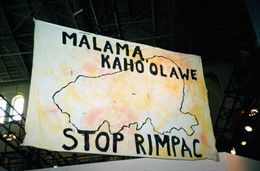 In the late `90s, however, several Hawaiian institutions came under fire. The U.S. Supreme Court case Rice v. Cayetano in 2000 challenged the Hawaiians-only elections for Office of Hawaiian Affairs trustees. Fallout from the decision threatens to dismantle other programs designed to benefit Hawaiians, perhaps even crippling private trusts established by ali`i in the 19th century. Other institutions have suffered scandal and upheaval. In 1997, Bishop Estate/Kamehameha Schools - the community's leading educational institution - was rocked by misconduct of the estate's trustees. Attacked by the IRS and the state attorney general's office, in 1999 all the trustees were removed or resigned and the trust was reorganized. Bishop Museum, another institution revered as a caretaker of Hawaiian culture, was blasted for improper storage of Hawaiian relics and conducting shoddy archeological work. Corruption and deal-making came to light throughout the state and government during the 1980s and '90s. Popular dissatisfaction found its voice in the elections of 1998 and 2002 when voters put more Republicans into office to counter the now-entrenched Democrats. The election of Republican Linda Lingle to the governor's seat in 2002 marked a change in leadership that will significantly affect the years to come.